You shouldn’t have a mobile site… or did Google just change that? You may have been swamped by many layers of confusion by the title of this article. Do I have a mobile site? Wasn’t it good to have a mobile site? So if it wasn’t… then is it now? But one thing’s certain: it’s more important that your website displays well on mobile than it does on a desktop, because 60% of web searches are now made on mobile. So let’s quickly get you up to speed, then tell you how Google just changed the game, and invented a new form of mobile site that is a must-have for your website’s search engine rankings (SEO). A mobile site is a separate website from your current site. It has a separate URL, e.g. ‘mobile.yoursite.com’ (but not like: ‘yoursite.com/mobile’). Alternatively, many modern websites function as both the desktop and the mobile site. This is called ‘responsive design’, and it involves using modern web styling techniques to make the site display differently on different devices and screen sizes. On responsive sites, the URL is the same for both the desktop and the mobile version of the site. You can check this yourself now if you’re unsure. Mobile sites were the first solution to the problem of people trying to use the web on their mobile phones. When the iPhone was first released in 2007, before mobile sites were popularised, browsing the web was like looking through a peephole at the full desktop-sized webpages. Then web developers started making mobile versions of their sites, which was a pretty good solution until responsive design came along. What are the drawbacks of a mobile site? In short—they are labour intensive, and hence not the best solution for a small business. Basically, every page of your site must be modified into a corresponding mobile page. The development and upkeep costs are a bit exorbitant. Plus, there are problems with linking and sharing. Because if someone shares the URL of the mobile version of your site, then someone may end up viewing the mobile version of your site on a desktop. This can cause them to be mildly frustrated or completely bewildered. Then responsive design is the way to go! Yep, responsive design is an absolute necessity. Web styling has evolved to the point where it can be made to display far differently on mobiles, tablets and different sizes of desktop monitors. It’s great. E.g. Responsive design can be when your text can resize to the widths of the screen size. And maybe your menu bar turns into a hamburger ( ☰ ) button when the screen is thin enough (like on mobile). Now you have a single site that can display beautifully on all kinds of screens (except maybe non-rectangular screens lol). But there is still one way that your mobile page isn’t optimised for mobiles. And it’s something other than screen size. 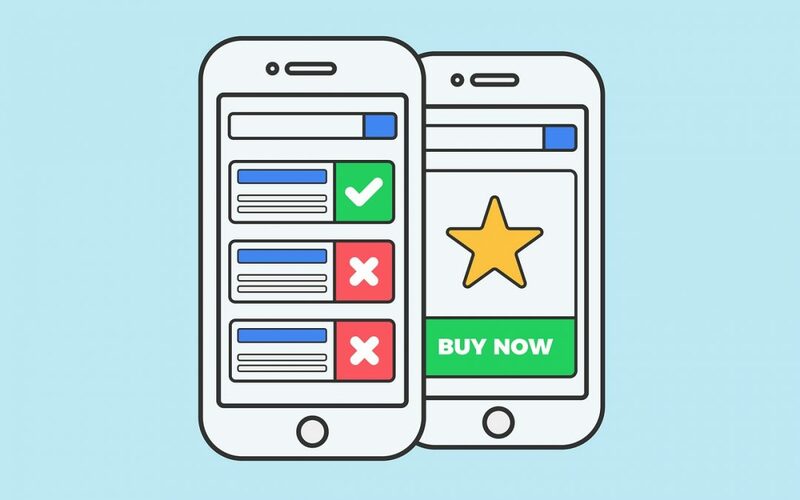 Mobile web use has another crucial difference, and it is costing you large numbers of site visitors that you didn’t know that you were losing. This is the key pitfall of responsive design. Until 2015 we thought that responsive design had it all. But did we think: maybe it has too much? Responsive design loads the entire desktop page on a mobile, even the parts that are hidden from view. And this runs right into the face of the second key difference with mobile web usage: internet connections are far slower and shakier on mobile. Most websites will take far longer than 3 seconds to load when someone is searching the web on the 4G network on the train, because desktop websites weren’t designed with mobile internet speed in mind. This is causes innumerable business websites to lose customers as you read this, because people are just closing the website before it gets a chance to load. Thankfully, Google has made this issue a priority, and released a new, improved kind of mobile site in 2015. Google has invented a new type of webpage called an Accelerated Mobile Page (AMP), and it’s 4 times faster than a regular webpage (Source: CNET). AMP solves the problem of losing visitors to slow mobile connections, and for this and a number of reasons, it can improve your Google rankings incredibly. AMP sites are often just a single page that summarises a website, and then has links to the full website if the visitor wants more info. Therefore, they are not costly to build and maintain. AMP comes with a feature that makes it less likely that someone will share the mobile address of a website, instead of the normal address. So have we finally found the perfect type of mobile website? We think so. It involves having an AMP site, as well as a standard website. And your standard website should still have responsive design so that it can be viewed on a mobile. It’s amazing right, a tiny mobile website can be strapped onto your main site, and yield massive increases in customers and in Google Search rankings. If you’re interested you should check out our Jetpak site which is just that. It’s straps onto your website and can increase the speed fourfold on mobile. © Jet Digital. All rights reserved.